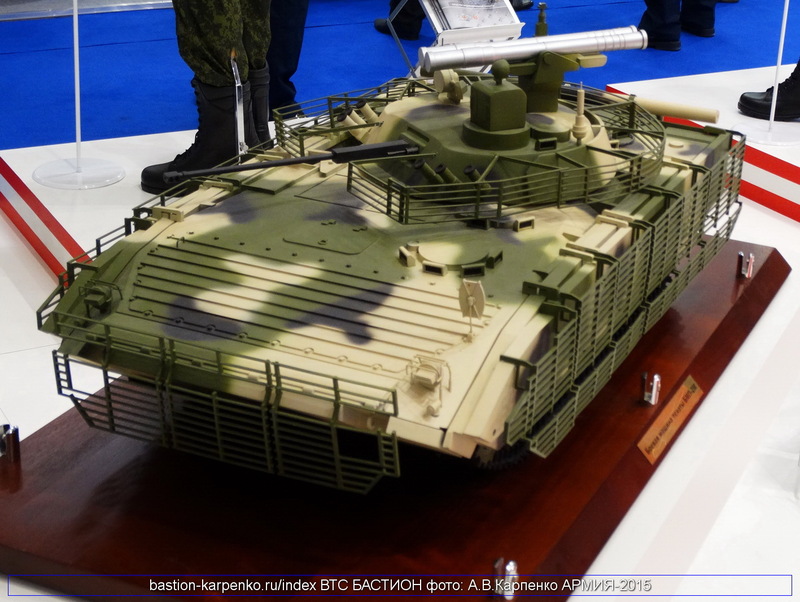 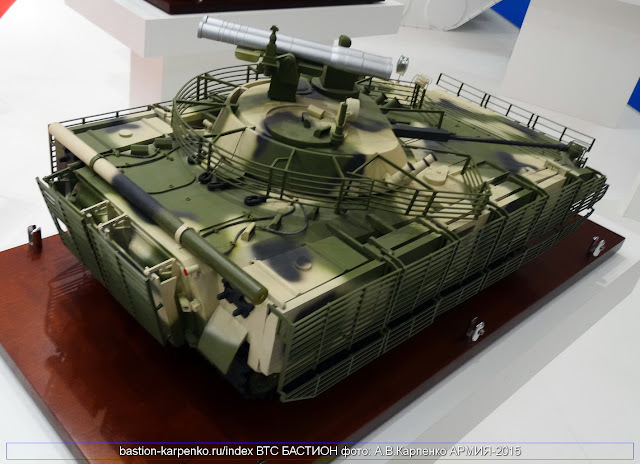 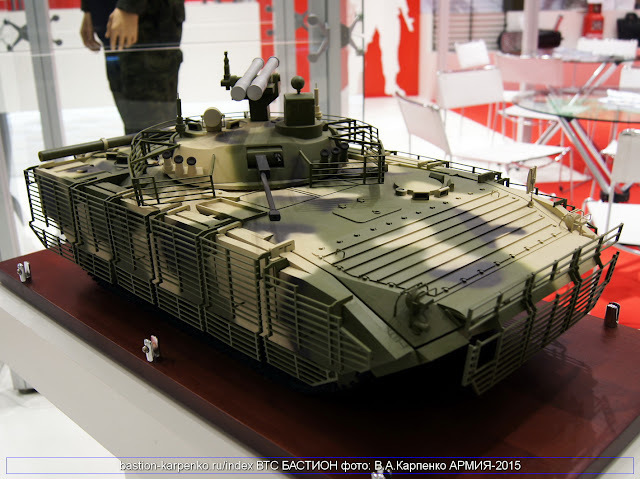 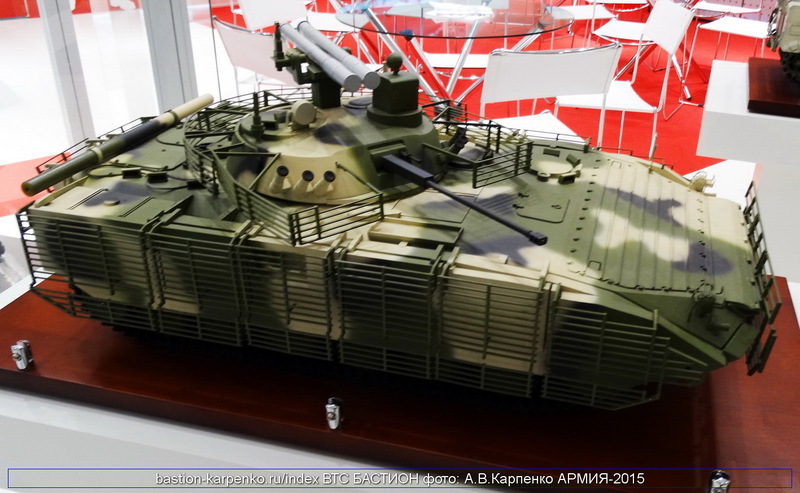 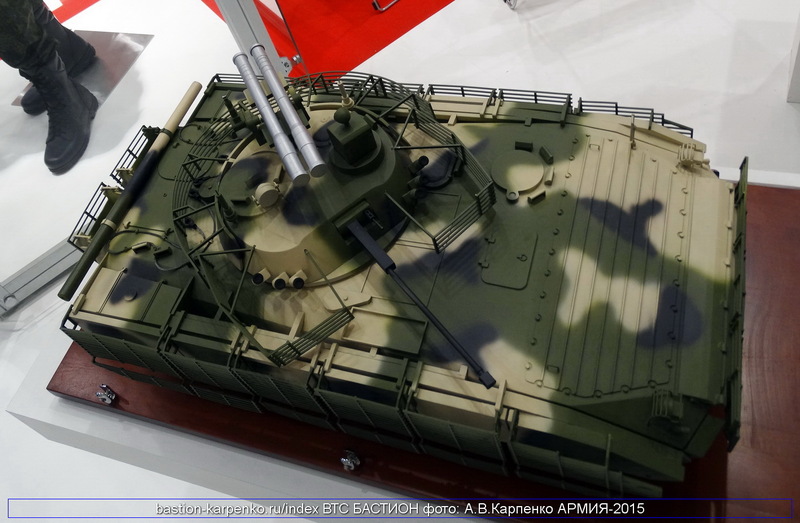 Last Forum military Army-2015, Design Bureau KBM (Russia) recently introduced a new package for modernization of infantry fighting vehicles (IFV) BMP-2M Berezhok with B05S011 guided weapon system for abroad countries use this IFV. 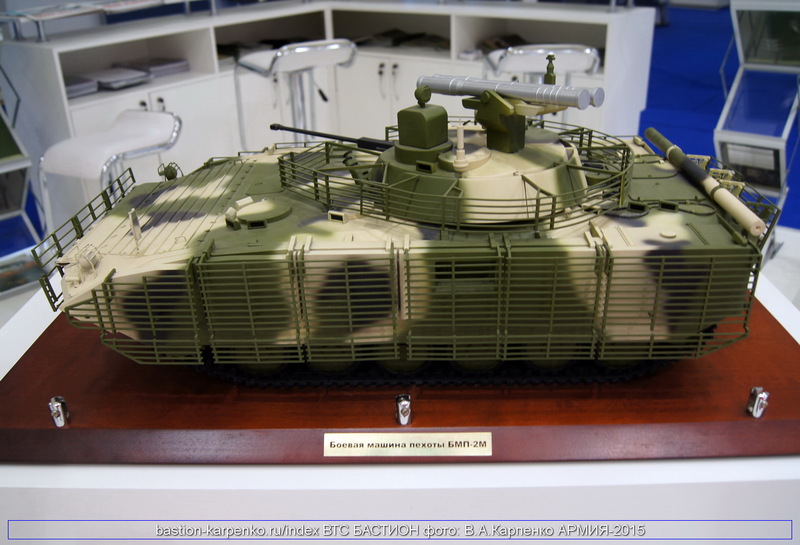 At solution upgrade BMP-2M Berezhok, KBM integrated guided weapons systems B05S011 on turret, allow discharge two tube antitank guided missile 9M120 (ATAKA-T) to destroy stationary and moving fielded and future main battle tanks, other armoured (IFVs, APCs) and small-size (like pillboxes and bunkers) targets, fortified assets, manpower under cover and in the open as well as aerial low-level targets flying at speeds of up 400 km/h in the day- and night-time and surface small-displacement vessels. 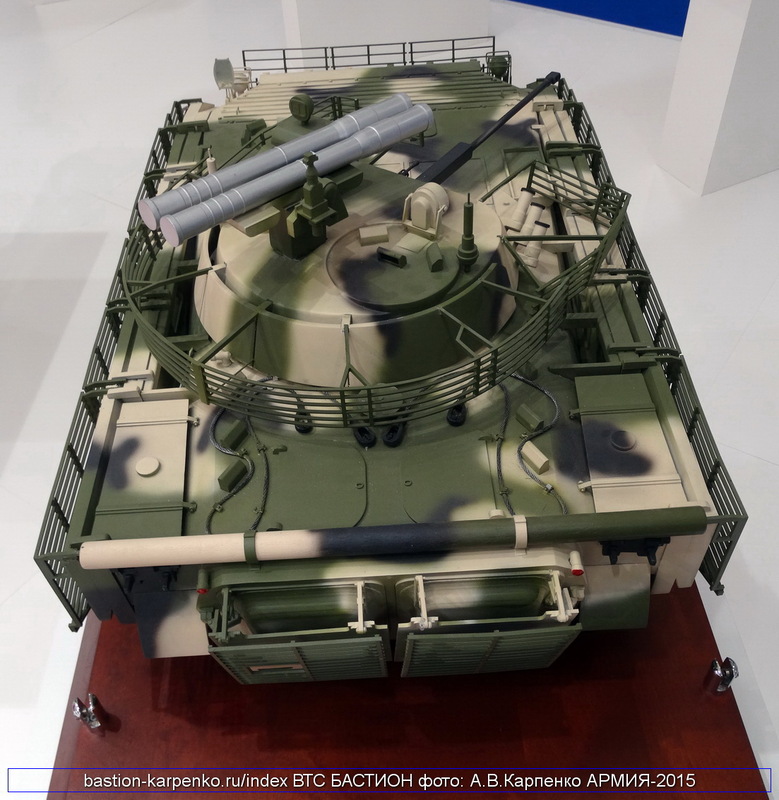 The B05S011 guided weapon system (GWS) is designed for installation in turrets and fighting compartments of various combat vehicles (e.g., BMP-2M ICV (coded name Berezhok), BTR-90 APC (coded name Rostok)), tractors and other military trucks and vehicles including those of foreign origin. 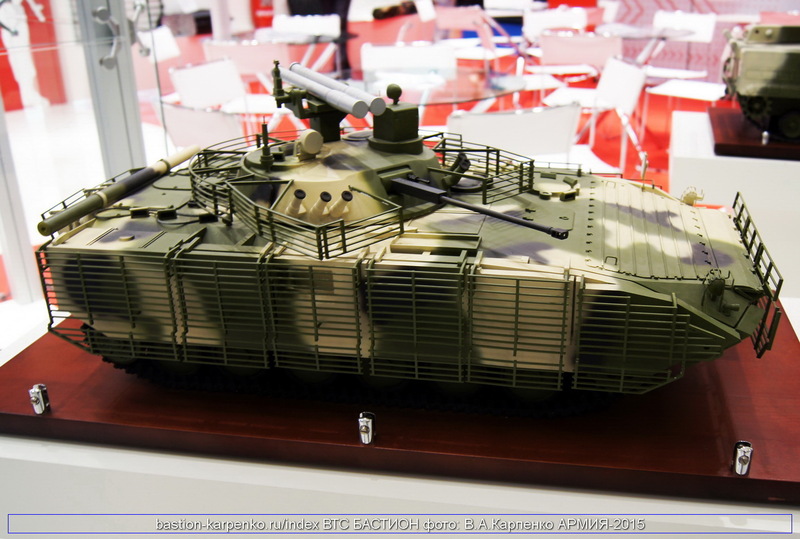 Due to intergrated advantage anti-tank guide missiles 9M120 (include 9M120-1, 9M120-1F, 9M120-1F-1), new BMP-2M Berezhok upgrade can attack ground targets from far distances to 6 km and airborne targets at a height of 3.3 km. 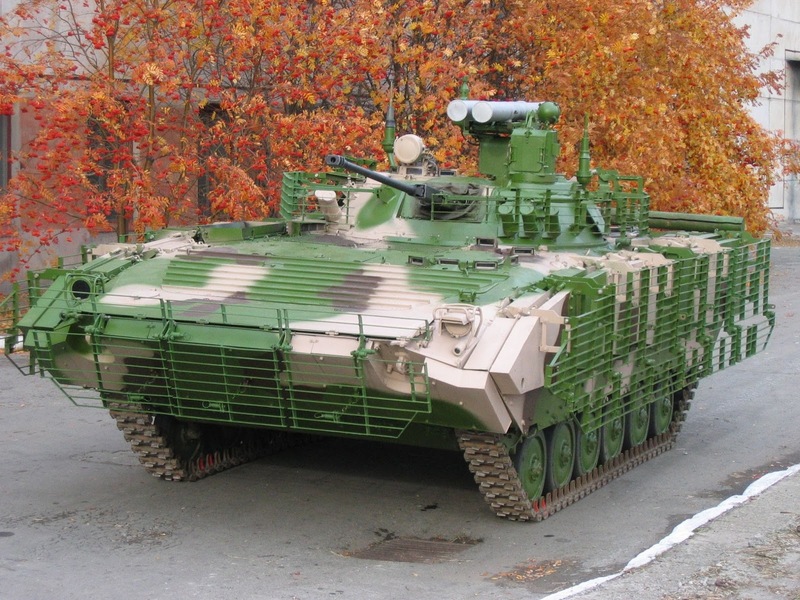 This solution is a good suggestion for Vietnam People Army (VPA) if we had requested upgrades IFV BMP-2 to enhance combat capability on the modern battlefield.